Hi, I am using Saver 1.0.3.0 and it does not place my opened documents in the same order as I had them after a visual studio restart. I also noticed that it does not open any Team System documents after the restart although they are listed in ProjectName.tss. Can you enable the Troubleshooter add-in and send me (support@TabsStudio.com) a log of problematic Visual Studio solution loading? Troubleshooter creates log files in the %LOCALAPPDATA%\Sergey Vlasov\Tabs Studio directory. As for Team System documents, the Saver add-in doesn’t open any documents, it only changes tab order. 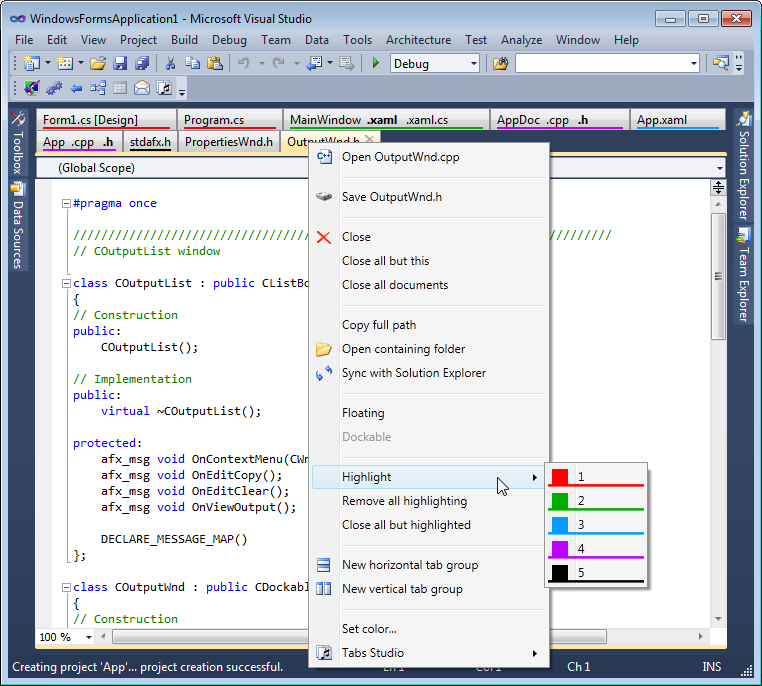 I can’t check right now why documents are not opened by Visual Studio as I don’t have Team System installed.